Salt Island, one of the archipelago which makes up the British Overseas Territory of the British Virgin Islands, formerly paid the monarch an annual rent of a pound of salt on their birthday. This tradition was reintroduced in 2015 by the Governor-General, with this example being presented for The Queen's 90th Birthday in 2016. 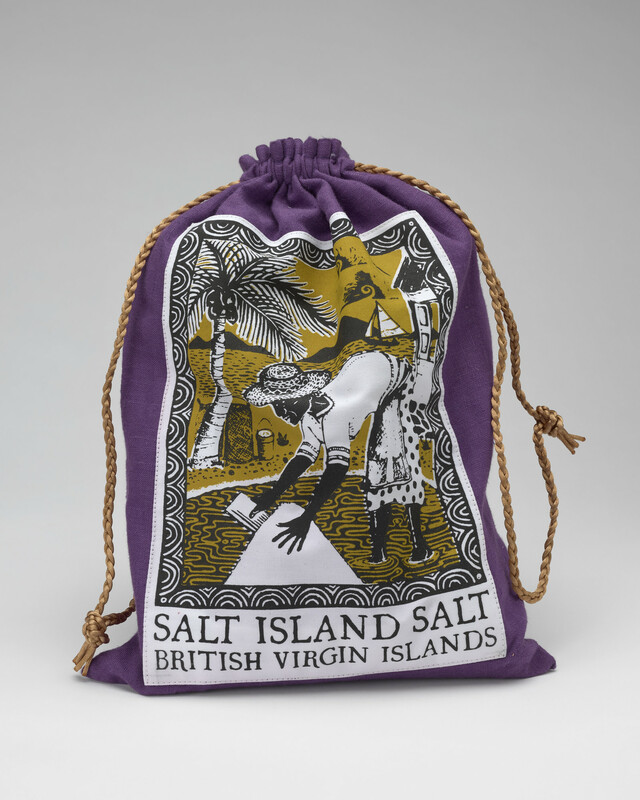 The bag is printed with a scene of an islander, Clementine Smith, collecting salt from the edge of a pool.